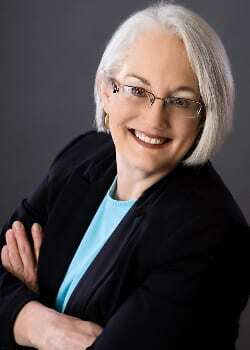 Patricia Buss is an experienced family practice attorney and mediator. An Alternative Dispute Resolution provider, Pat is listed on the Minnesota Supreme Court’s Roster of Qualified Family Neutrals. Family law cases can arise in a number of different circumstances. While divorce and child custody are probably the ones that come to mind most often, they also include legal separation, parenting time (formerly called visitation), child support and grandparents’ rights. Pat also handles guardianship and conservatorship cases, which involve having an “alternate decision maker” appointed for a person whose capacity to manage their own personal or financial affairs is diminished. When working as an advocate (attorney) for a party involved in a family law matter, Pat believes it is important to first listen to the client, identify the legal issues involved and explain the available options. As the case proceeds, she gathers additional information and along the way educates her client about how the law and the client’s life issues intersect. Pat believes in helping the client make informed decisions while understanding the risks involved in their matter. Contact Patricia Buss to discuss your legal matter today. The information contained on this website is not legal advice. To obtain legal advice, you should consult an attorney for individualized advice about your specific situation. Any information sent via email is not subject to attorney-client privilege unless Patricia Buss has already agreed to represent you on the matters related to the information contained in the email. Your viewing of this website or contact by email does not create an attorney-client relationship. © 2019 Buss Law & Mediation, LLC. All rights reserved.